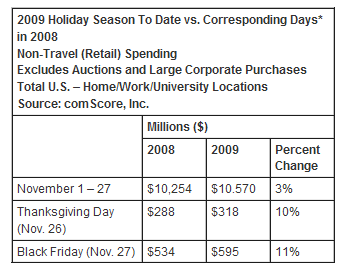 Leading up to Black Friday and Cyber Monday, some expectations consumers would open their wallets to buy electronics were high. The November Consumer Electronics Association (CEA)-CNET Index of Consumer Technology Expectations (ICTE), which measures consumer expectations about planned technology spending, was at 93.5 on November 24th. That was the index’ highest level since tracking began in January 2007, and a gain of more than 14 points over October. 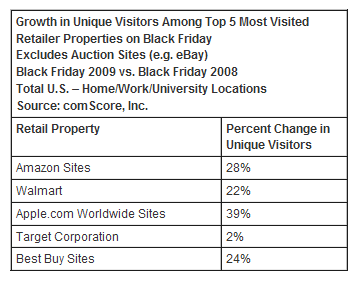 Among vendors, Amazon, Best Buy and Walmart all seemed to do particularly well at luring shoppers to their sites. 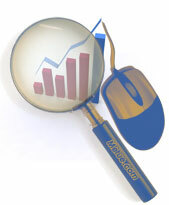 According to the ComScore data, audience measurements for each were up more than 22% year over year when by measured unique visitors. Apple also showed well. Apple’s worldwide sites were up 39% in unique visitors on Friday compared to the prior year. (Editor’s note: The online traffic measurements seem a decent indicator of consumer interest but it is important to note browsing doesn’t necessarily translate into sales. Many of the sites in the ComScore measurements likely had significant overlap in their audience as savvy customers surfed their way around the net in searches for bargains). Applevine: Apple TV Getting a Refresh? Looking Forward: Interactive Entertainment's Next Generation?